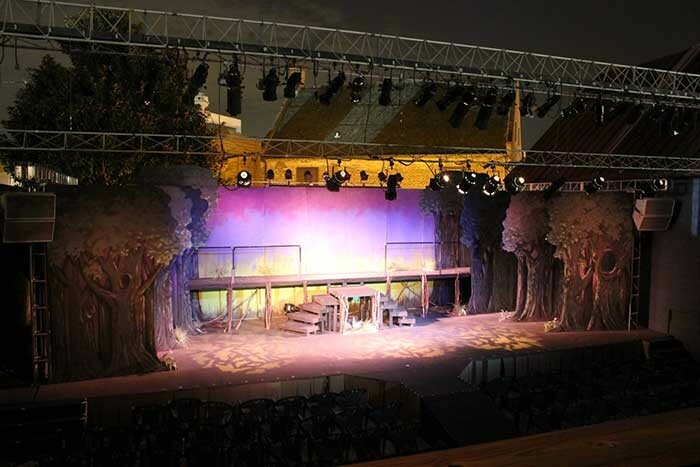 Founded in 1966, Annapolis Summer Garden Theatre (ASGT) is an outdoor community theatre in Historic Downtown Annapolis, Maryland, USA. With its all-volunteer staff and actors, ASGT hosts three major productions each season in an outdoor garden setting. While most ASGT productions are musicals, the venue also hosts Shakespeare, improvisation and educational programmes. The outdoor garden setting is pleasant for theatre goers, but it presents ongoing challenges to actors and staff ranging from lingering afternoon heat and inclement weather to noise from boat engines and horns at the nearby City Dock. Scott McCormick, one of two technical directors at ASGT, says the theatre’s previous loudspeakers weren’t weather-resistant and had to be bagged or removed from the theatre when it rained and after each performance. In addition, they had poor directional control which contributed to on-stage feedback issues and neighbourhood noise complaints. Last summer, McCormick and members of the tech team approached the board of directors with a request for a new loudspeaker system. He wanted to fly the system on a truss that could double as a lighting truss. He wanted high-performance loudspeakers that were weather-resistant and could be left in place throughout the year. And, he wanted good directional control to provide even coverage in the theatre and reduce sound levels in the neighbourhood. 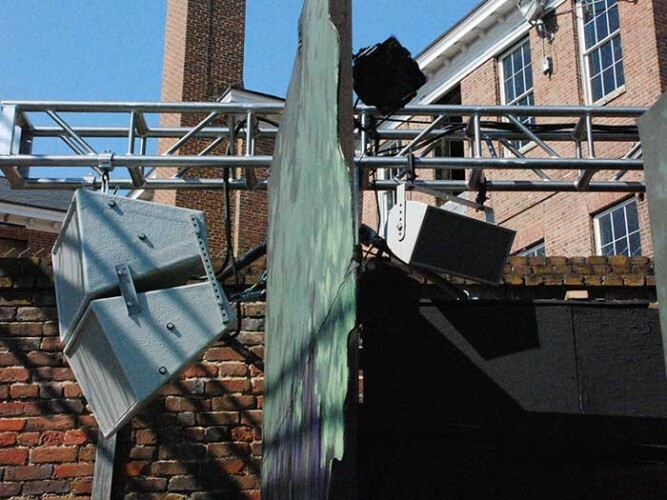 McCormick contacted David McLain of CCI Solutions who modelled the theatre and recommended weatherised Community iBOX model iHP-1226WR loudspeakers for left and right front-of-house, i-212SWR’s for subwoofers and WET W2-228 loudspeakers for stage/foldback monitors. The mains and subs are suspended from the truss at stage left and right and the monitors are suspended behind the mains to cover the stage while minimising their visual impact. The theatre uses Shure UHF wireless microphone systems with Countryman headsets. On a typical production, all actors are equipped with wireless. The system is powered by QSC amplifiers and uses a Community dSPEC226AN loudspeaker processor for equalisation and loudspeaker management. McCormick says the Community dSPEC is a “joy to work with” and he especially loves the amplifier calibration feature. He plans to use dSPEC presets to set up differing equalisation for weather and humidity changes.